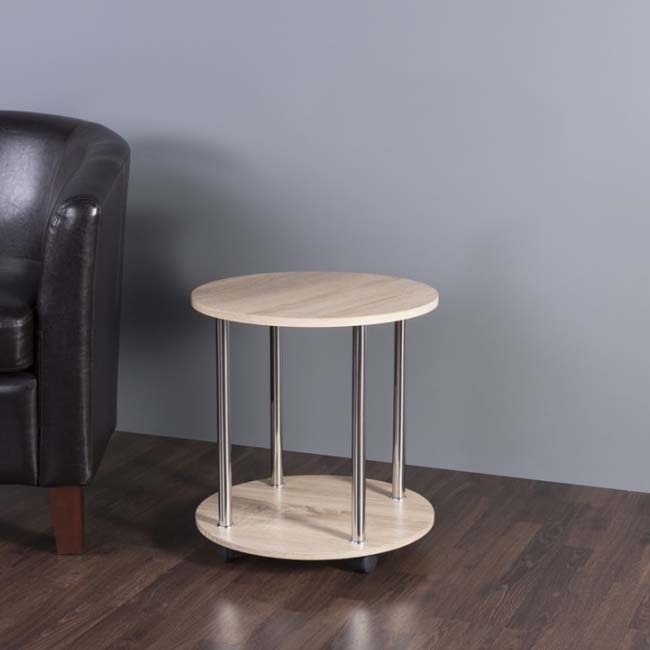 More on the AVF 2 Tier Round Accent Table on Wheels (Oak and Chrome) T62OW-A below. The T62OW-A is a useful round side table with 4 rolling casters for added mobility. 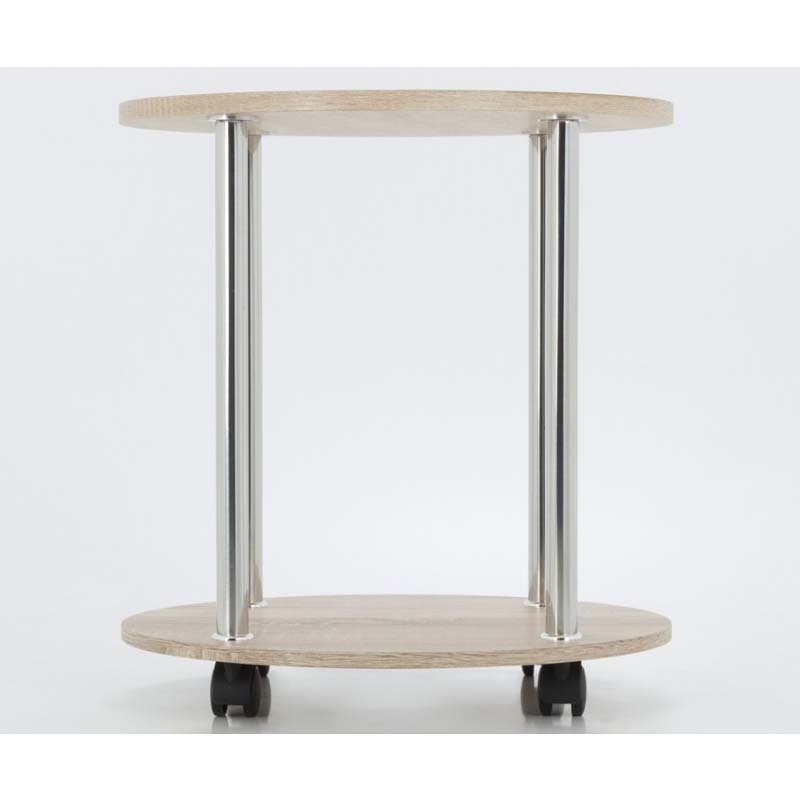 Sturdy construction with 2 whitewashed oak shelves and a durable metal frame with chrome look finish. 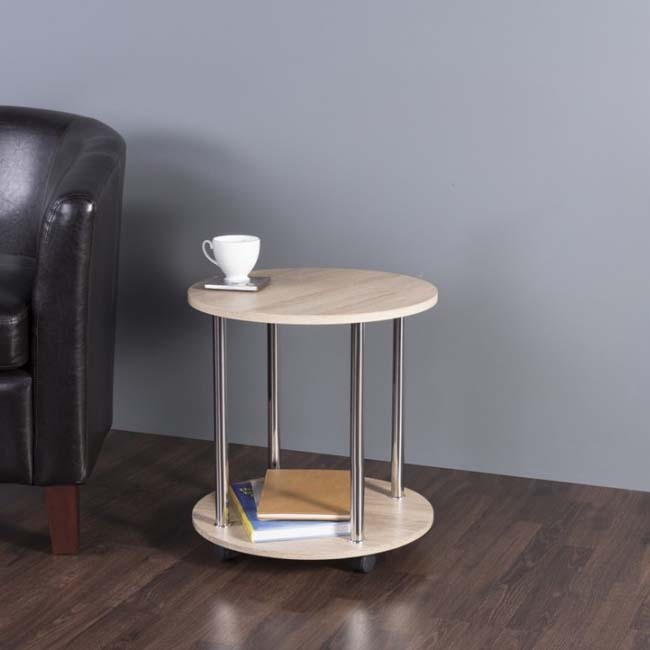 This versatile table can be used as a side table, end table, or lamp table in virtually any room of the house. 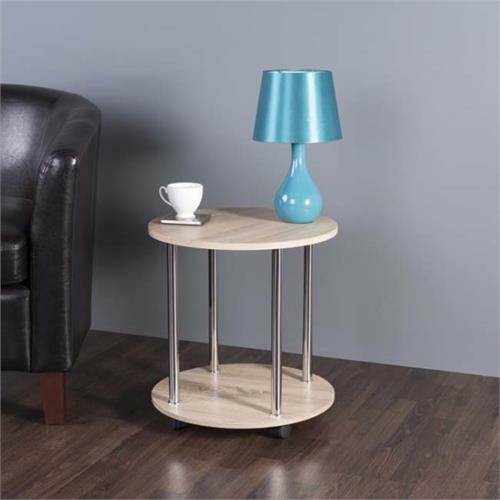 This modern piece is attractive and easy to assemble. 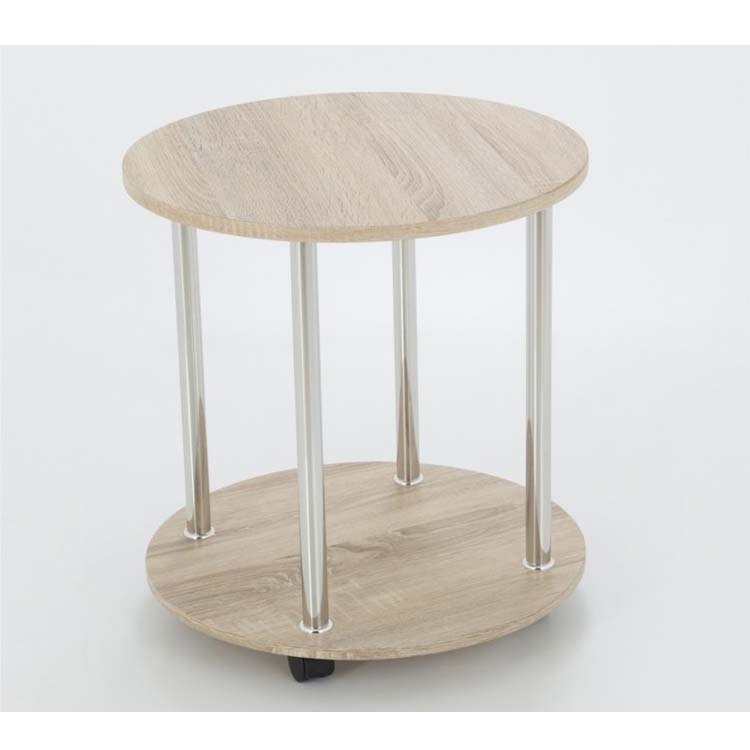 Matching tables also available. See related products below for more information.